Many people thought that he'd said goodbye to music. That he'd retired his guitar. That he'd exclusively applied himself to painting beautiful works of art. But his passion for rock & roll always remained. 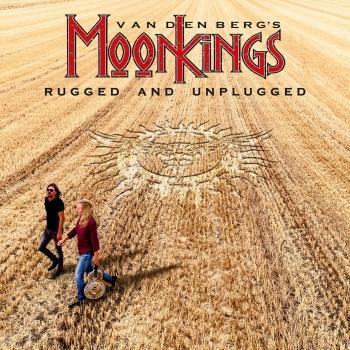 It was only a matter of time, and that time is now: Adrian Vandenberg is back with a brand new band, Vandenberg's MoonKings. The band debuts in February 2014 with a hard rocking album, released worldwide by Mascot Records. Adrian is very happy with his return to the international music scene. "The last record I made was with Whitesnake in 1998. Now that I've announced my return, I am really overwhelmed by the thousands of enthusiastic reactions that I've gotten from all over the world. It amazes me how faithful the fans have remained. It's just bizarre," he says. And with a smile he adds: "And it just so happens that the MoonKings album is the best record I've ever made. Well, in my modest opinion, anyway. People probably expected the obvious classic rock, but I didn't want to go that route semi-automatically. I wanted to build a bridge between the greatest rock of the seventies and that of today, and I have the feeling that worked out very well." It was around the turn of the millennium when Adrian Vandenberg reached a crossroads in his life. He had played with singer David Coverdale's super group Whitesnake for thirteen years, topped the American charts twice and sold in excess of fourteen million albums, when that band took a break. The guitarist decided to focus on his other passion: Art. There was so much interest in his paintings, that several leading European galleries planned exhibitions of his work. These things take a long time to prepare, so that frustrated any musical plans. "But much more importantly, my daughter was born," he says. "And I wanted to see Mickey grow up as much as possible." The guitar hero said goodbye to Whitesnake, enjoyed his father role and lost himself in his art. However, he didn't think it would take him this long to get back to making music. "In hindsight I must say that these last fourteen years or so simply zipped by. I really wanted to start playing a lot sooner, but time really flies. Looking back at it now, I do believe that everything developed in a completely natural way, that I subconsciously let my intuition determine that now was the best time to do this." The turning point came in 2011, when Adrian was asked to write a song for FC Twente, the football club from his hometown of Enschede that had become the champions of the Dutch premier league the year before. He wrote the stadium rock song A Number One and looked for someone who would be able to sing it. He remembered a vocalist whose band had supported Whitesnake at a concert in Holland several years before. Adrian tracked him down and picked up the phone. Singer Jan Hoving remembers it well: "When I got a call from someone who said he was Adrian Vandenberg, I thought they were playing a joke on me." The phone call changed his life: "When we met, we hit it off immediately, both musically and on a personal level." Jan sang A Number One effortlessly. Because the song was going to be performed at FC Twente's victory celebrations for a crowd of 60,000, Adrian needed a rhythm section. A friend told him about Mart 'Martman' Nijen-Es. It turned out that Adrian met him in a previous life: "About ten years ago, I was a judge in a talent contest, and this 13-year old drummer just blew me away. I let him win. Turns out that was Mart!" Truth often is stranger than fiction, because incredibly, Adrian met his future bass player the same way: "Mart had a buddy he'd been playing with for many years, bass player Sem 'the Sham' Christoffel. Believe it or not, I judged Sem in a different talent contest around the same time I first saw Mart, and he impressed me enormously by casually playing a Jaco Pastorius-like piece. And I let him win as well!" Together with Jan, Sem and Mart Adrian performed at FC Twente's championship celebrations, and again later, at a Football Player of the Year Awards show. Adrian immediately became convinced of the qualities of his new band members and started rehearsing the new songs he'd written for his up-coming album with them. "Right from the start of rehearsals I realized these guys are sensationally talented", enthuses Adrian Vandenberg. "We went through three songs and they just came alive right then and there. I have always hated doing rehearsals, but this time around I got a kick out of working with these guys every time we got together." The four rock musicians started recording at the famous Wisseloord Studios near Amsterdam at the end of September 2013. For Adrian it felt like coming home: "I recorded my first ever album there, with the band Teaser. At the time I was the same age as Sem and Mart are now, so I guess we've come full circle - and I'm starting a brand new circle right away. Also we recorded the MoonKings album with vintage equipment. We worked with tubes compressors, we used a Neumann microphone from the sixties, and we recorded everything with a Neve desk from the seventies. Consequently the result sounds really rock & roll: exciting and loud and completely analogue. But just as fresh, dynamic and explosive as the tightest rock bands of today." Adrian Vandenberg produced the album and created a very dynamic sound: "In most songs I decided to not play rhythm guitars behind the solos for once, because if you have a four-piece line-up like ours, you've got to allow the music to breathe, instead of piling on the instruments. That way the spaces in between hit you just as hard as the decibels exploding from the speakers." After getting hit in the head like this, the unsuspecting listener awaits a pleasant surprise: Whitesnake's David Coverdale making a guest appearance with his beautiful rendition of the closing ballad Sailing Ships. 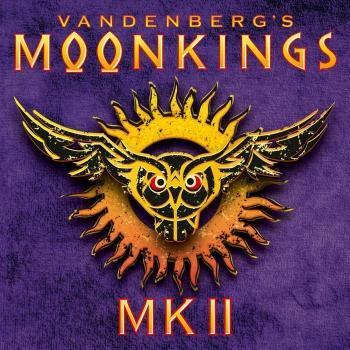 In producing the MoonKings album, Adrian Vandenberg's main motivation was to make the music he really loves, without taking record company demands and commercial considerations into account. "I've let my intuition guide me," he says. "You have to ignore what others think will sell or whatever. You have to make music from the heart, rock & roll that you yourself think is absolutely great. Then and only then there'll always be other people who might love it as well". Vandenberg certainly succeeded in producing an album with his favorite music. So much so that he can't wait to bring it to stages all over the world. "We're going to tour our asses off!" he enthuses. "We'll start in spring with Netherlands, Germany, Switzerland and Austria, followed by France and Spain. In summer we'll do festivals, followed by tours through America and Japan. It's going to be a thrill to play with this band. I've been gone for too long, so I'm simply raring to go out there and rock everybody's socks off!"